My favourite bookshop in Sydney is Better Read Than Dead in Newtown. A few months ago I dropped by for a look around. I walked out with three new books, Andro Linklater’s Owning the earth: The transforming his­tory of land, Kevin Cahill’s Who owns the world: The surprising truth about every piece of land on the planet, and Fred Pearce’s The landgrabbers: The new fight over who owns the earth. In different ways, these three books focus on the way land is being bought and sold as if it were a global commod­ity. Each author shows how a relatively small number of powerful individuals, families and global corporations have acquired large sections of the world’s land mass. These authors present an alarming picture. It includes the displacement of some of the world’s poorest people from their land in the global south with a corresponding concentration of land wealth in the global north. We should be concerned about this global commodification of local land. But should we be concerned about the increase in foreign, and particularly Chinese, investment in Australian real estate? An individual foreign investor who buys a residential prop­erty in Australia is not the same as a global corporation that buys a thou­sand hectare farm in South Africa, and thereby dispossesses the local people of their land. There are important differences between the various foreign investor and property categories within the global real estate sector. Individual foreign investors are different from institutional investors. A new residential dwelling is different from a commercial retail build­ing, and these are different again from a large cattle station. The largest global real estate inves­tors are institutional investors, such as large pension funds, insurance companies and sovereign wealth funds. They usually invest in commer­cial real estate, but more recently they have also shown an interest in agri­cultural and farming assets. These investments are very different from individual foreign investment in resi­dential real estate. There has been a lot of discussion about Chinese investors pushing up property prices and breaking the foreign invest­ment rules in Australia recently. Some reports suggest that foreign investors account for around 15% to 20% of all new residential property purchases in Australian capital cities. We know that from 2012 many of these foreign inves­tors were Chinese. The Foreign Investment Review Board reports Chinese investment was $12.4 billion in 2013-14, up from $5.9 billion in 2012-13. It can be hard to pin down exactly how much foreign capital is flowing into Australian real estate. Some measures include insti­tutional investors while others include commercial real estate. But while the figures are debatable, the overall trend is not – individual foreign investment in real estate is growing in Australia. Media coverage of foreign invest­ment in Australian real estate has largely focused on individual Chinese investors and their residential real estate purchases. Less media atten­tion has been given to the investment practices of global pension funds, insurance companies and sovereign wealth funds. The government has taken an interest in foreign investment in real estate too. The government’s legisla­tive framework for individual foreign investment in residential real estate in Australia allows: foreign developers to build new residential dwellings for sale to domestic and foreign buyers; individual foreign investors and temporary residents to purchase new dwellings; and temporary residents with visas, which extend beyond 12 months and include many foreign student visas, to purchase one estab­lished home provided it is used as their principal place of residence while in Australia and is sold when they leave the country. The government’s aim is to direct foreign capital into new housing stock to increase housing supply and to boost employment within the prop­erty construction industries. The assumption is that increasing housing supply will put downward pressure on housing affordability. Last year, The House Standing Commit­tee on Economics conducted a Parlia­mentary Inquiry into individual foreign investment in residential real estate. One of the contributing factors leading up to the Inquiry was the claim that individual Chinese investors were making Austral­ian housing more expensive. In other words, Chinese investors were pricing Australians out of the property market. A team from the University of Western Sydney conducted a study to explore this claim. Our research showed that historically, domes­tic investment has had a far greater impact on house prices that the recent increase in Chinese investment. Linklater, Cahill and Pearce have shown that foreign institutional investment in agricultural farms has negatively impacted local communi­ties, and even displaced them from their lands. But we should be careful with the claim that individual foreign investment in residential real estate in Australia is the sole or even a central cause of house price increases. Our study showed that removing the relatively small, albeit growing, share of individual foreign investment from Australia’s residential housing market would not address the trend for house price increases or inward urban migration over time. This is important, because these two factors contribute to the hous­ing affordability problem in major Australian cities. If we want to address the housing affordability problem in Sydney the discussion needs to start with domestic, not foreign, invest­ment in residential real estate. Foreign land grab or domestic housing problem? The recent Inquiry found individual foreign real estate investment was achieving its aim of increasing residen­tial housing supply. Foreign investors can only invest in new dwellings. The Committee did not, however, outline what type of housing was being supplied. And much like our study, they found that foreign investors have a marginal impact on housing prices in Australia. As a stand-alone aim, increas­ing housing supply will not address the housing affordability problem in Sydney. Just because there are more houses in the real estate market does not mean that the housing market will become more affordable, and this is especially the case for those on a low income. In fact, some middle-income households are finding it hard to pay their housing bills. Despite the initial impetus, the Inquiry did not take a serious look at the relationship between housing affordability and foreign investment. Instead, the Committee recommended the introduction of new fees and greater scrutiny of individual foreign investors. The government responded by setting up a new foreign investment register, which they claim will help catch the foreign investor rule breakers. Apart from political point scoring, catching the rule breakers and introducing new fees will have a marginal, if any, impact on the domestic real estate market. It certainly will not address the housing inequity in Australian cities. These recommendations draw atten­tion away from Australia’s unfettered commitment to domestic real estate investment and the inequality of our domestic housing system. It is clear that the private housing market perpetuates housing inequality in Australian cities and we cannot leave housing affordabil­ity to the market. We need a discussion about domestic and foreign investment in real estate that takes place alongside a national discussion about affordable housing. We should reconsider schemes that provide affordable housing to low-income Sydney-siders by setting rents according to household income. At the very least we need an affordable housing program, like the recently scrapped National Rental Affordability Scheme, which provides housing to low-income Australians at well below market rate rent. The debates in the media and the Inquiry’s investigations about the actions of individual Chinese investors diverted our attention away from the real housing challenge in Sydney: how should we reconfigure the domestic housing sector and taxation settings to provide a fairer and more equitable housing system? In Sydney, it is not the case that a foreign land grab is displacing large sections of the local population from their homes. Rather, the increasingly unaffordable housing landscape is a home-grown problem. It is the product of five decades of domestic real estate investment that was underwritten by pro-real estate investment taxation policy. The real estate investment prac­tices of Australians are to blame for pric­ing fellow Australians out of Sydney’s housing market, not Chinese investors. 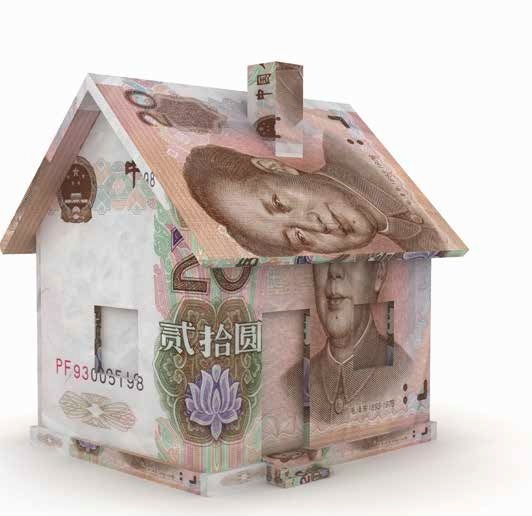 This article summaries the findings from a recent study on Chinese Invest­ment in Residential Real Estate, funded by the University of Western Sydney. The full peer-reviewed article can be found in the journal Housing Studies, at: Rogers, D., C. L. Lee and D. Yan (2015). ‘The politics of foreign investment in Australian housing: Chinese investors, translocal sales agents and local resist­ance’, Housing Studies. Dr Dallas Rogers is a Lecturer in urban studies within the School of Social Sciences and Psychology at the university of Western Sydney.